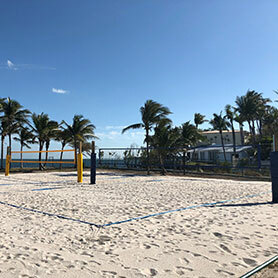 If you love beach volleyball and are looking for a way to improve your skills, call us today to begin planning your backyard outdoor beach volleyball court. Sport Court South Florida provides all of the materials to make your backyard as attractive as the beach. Let us transform your backyard and bring all of the fun and excitement of beach volleyball to you. Flexibility and physical agility are also improved with regular play. 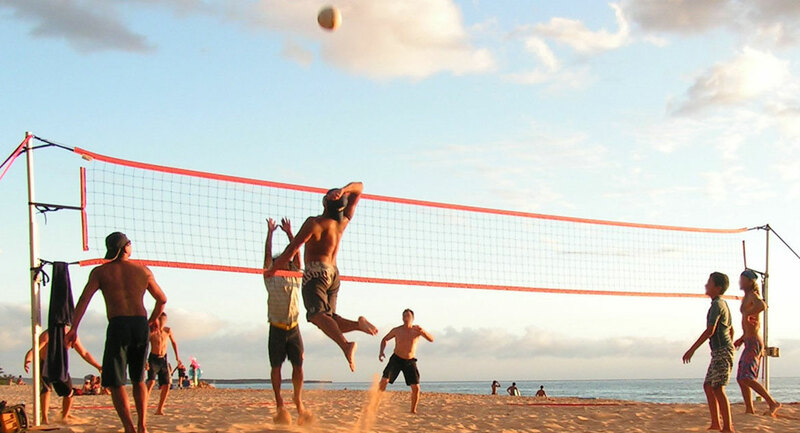 And, while you may end up diving more to cover your side of the court, the sand is much more forgiving to land on, saving you from some of the bumps and bruises. The soft sand is also easier on your joints, giving your knees a break. While the sand is easier on your joints, it also provides more of a workout for your muscles. On top of all these great benefits, being outside with your friends on your own custom beach volleyball court is just fun! Let us build your custom backyard volleyball court or beach volleyball court in South Florida today. 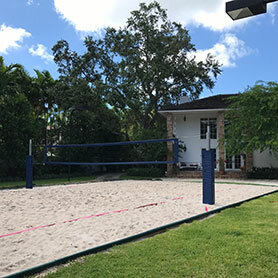 Contact us today to see how you can bring a custom volleyball court to your home in Fort Lauderdale, Miami, Hollywood, Plantation or any location throughout South Florida!